I am excited to get back into my monthly "All Things Loved" posts. I love sharing what I am into lately and these posts are a great opportunity for me to do so!!! Without further ado, here is what I was loving in September!!! The Checkout Helper App has been a life saver for me at my Thirty One Parties!! This little App calculates takes your base price and applies any shipping and tax percentage of your choosing. It will then itemize and total your whole order for you. Makes life it so much easier when I have to write up several orders at my Thirty One Parties. I came across these Gummy prenatal vitamins when I was desperate to find a prenatal vitamin that didn't make me super nauseous twenty minutes after taking them. These gummy vitamins are the yummiest tasting vitamins I have ever tried and don't give you that sour stomach after feeling. One downfall I have to mention is that these vitamins do not contain ANY iron which is probably the reason WHY they do not make you nauseous. I am slightly anemic again this pregnancy so I need as much I iron as I can get. I have only used these sparingly and on the days that I was experiencing severe morning sickness. They certainly did the trick and this way I was still able to take some kind of prenatal vitamins even on the days where I didn't want to stick anything in my stomach. It seems like all I heard about on Twitter this Summer was the lastest Erin Condren Daily Planner craze. I actually think I had first heard about it from Sarah over at Life Sweet Life. I was in the market for a new and user-friendly planner with all of my direct sales appointments I had to now keep track of . This seemed to be exactly what I was looking for! Not to mention this planner is PRETTY and came in a lot of other fun patterns. I also could have it personalized however I wanted. Isn't it pretty??? I just love it! Because there was so much chatter on Twitter about these planners, I was able to find a $50 for $25 deal on any Erin Condren purchase!!! I am excited to announce that the Erin Condren deal is back and you too can get the same deal here. I can honestly say I use this planner every day and it's been great so far in keeping me organized. I love using my iPhone calendar for alerts and appointments, however, I guess I am old school in the fact that I still need to write things down to make myself feel more organized and put together. Although Fall has barely begun, I was really excited to break out my crock pot this month. 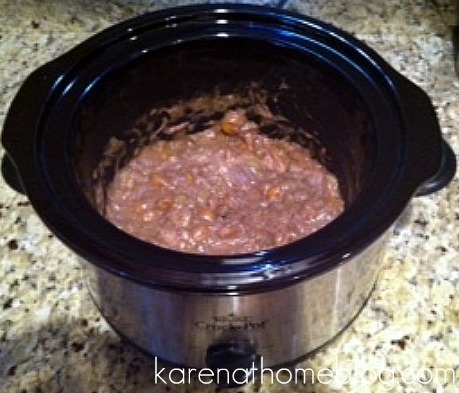 Kelly over at Kelly's Korner had a Crockpotalooza link up party where everyone posted their favorite crock pot recipes. I also came across a fun facebook page called Crock Pot Girls. The popularity of this page was astounding and it grew to over 1,000,000 fans practically over night! If you own a crock pot and are looking forward to using it this Fall and Winter, I highly suggest you check out both of these sites!!!! I kicked off my Crock Pot season by making my Mom's Beef Stew recipe. Yum!!!! It did not disappoint. I will post this recipe down the road once I make it again and take better pictures!!! For now, here is a sneak peak compliments of my iPhone. I haven't found any new blogs this month to mention, however, I wanted to feature my friend Sarah over at Life Sweet Life today as my favorite blog of the month. I have been following Sarah since she was around 7 months pregnant with her son Manny and her blog is always one of the first that I visit when I have a few minutes to catch up on my blog reading. Sarah's blog is one of my favorite's for so many reasons. First, she is a total sweet heart and has amazing taste! Did you see her son's first birthday party??? This girl can plan a celebration!!!! 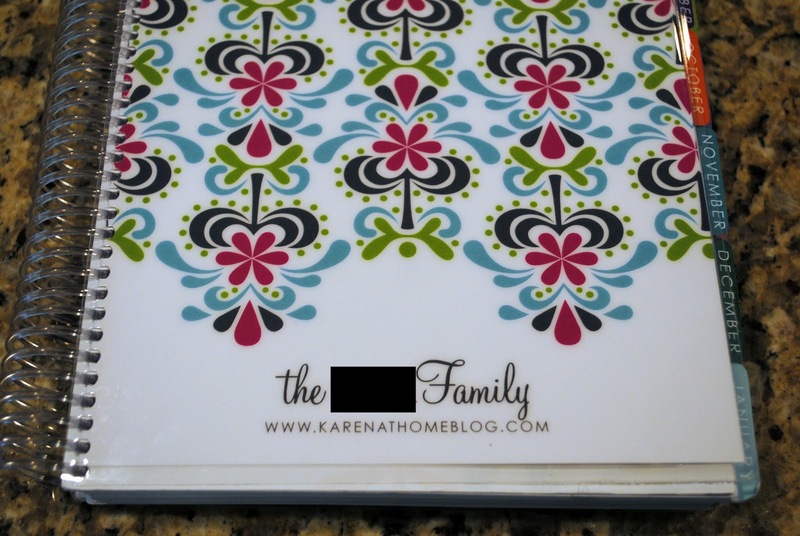 She also brings so many great ideas to the blogosphere as you can see from my Erin Condren Planner above. I am also happy to say that she announced on her blog yesterday that she is pregnant with Baby #2!!! 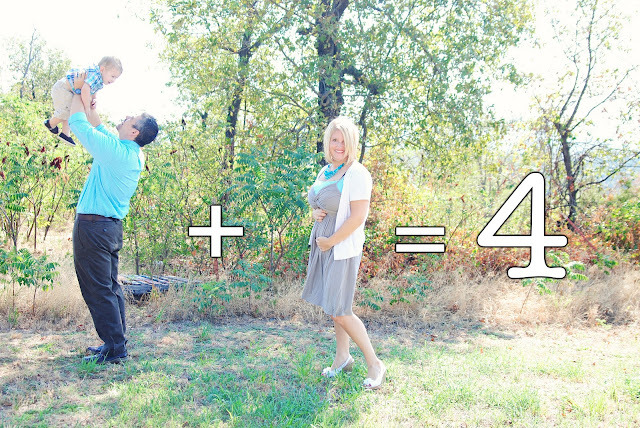 I am so thrilled for her and looking forward to sharing our second pregnancies together. Congratulations Sarah!!!! I love my crock pot too!! I bought one & cooked several meals in it the last few weeks! I'm not sure the Erin Condren planner is on sale at One King's Lane. Looks like there's a few other Erin Condren items listed today but not the planner. Do you know of another way to get the 50% discount? Love your favorites list! I think this is one of my favorite things about blogging...getting to learn about things that I didn't even know existed! I need to check out some crock pot recipes. It's so nice to come home to a meal ready to eat. Your planner looks really cute. I try to use my phone but do sometimes miss my paper planner. Thank you SO much Karen for the sweet words about me and my blog! You are so kind and I'm thankful we've become friends through blogging. I got the same Erin Condren planner...love it! I really enjoy your favorites list - even when I'm not on it - haha!! :) Hope you are doing well...you look great! !